The dynamism of regional economies depends on the ability of organisations to adopt new market and technological knowledge and apply it effectively. By doing so, a region can emerge as a centre of new knowledge creation attracting investment from elsewhere and stimulating the formation of new businesses. The presentation will investigate the mechanisms through which knowledge and technological advance are translated into improved competitiveness and economic performance at national, regional and sub-regional levels. Furthermore it will review how universities generate new knowledge, absorb knowledge created elsewhere and diffuse knowledge into a region's economy in a variety of new ways. This will include an overview of the emerging role of universities in energising regional innovation by integrating firms, networks, business service providers and focussing on the importance of the inter relationship between them as well as informing the design of future government policies to promote competitiveness. Over the last 20 years, Professor Oakes has held a number of senior management posts in higher education before joining the University of Wolverhampton in 2008 as Pro Vice-Chancellor with responsibility for the University's research and enterprise agenda and developing the growing knowledge transfer arena at regional, national and international levels. More recently he was promoted to the role of Deputy Vice-Chancellor as well as Chief Executive of University of Wolverhampton Science Park. 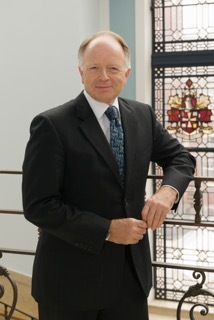 Since the early 1980s he has been involved in an extensive programme of technology transfer activities, both national and transnational, operating across a range of sectors and has led the development of a number of initiatives focussing specifically on the transfer of technology from academia to both large and small firms. These have included DTI/TSB funded Knowledge Transfer Partnerships (KTPs) and Carrier Technology Programmes, European Commission funded Framework V, VI & VI RTD and CRAFT projects and EU structural funded business support initiatives. These multi-million pound projects involving companies both nationally and internationally have focused on a range of sectors including; jewellery, giftware, automotive, creative industries, environmental, engineering and manufacturing. He has also developed and led a substantial number of ESF funded training programmes and ACCELERATE funded company development and training programmes for the automotive, manufacturing and creative industries. Professor Oakes also led the development and delivery of projects for multi-company and multi-university schemes to promote collaboration amongst the West Midlands region?s universities. He has travelled extensively throughout mainland Europe, the Middle East, India, China and South East Asia to coordinate technology transfer projects as well as develop and maintain relationships with university partners. From the discovery of DNA to making blockbuster movies, from inventing the world wide web to creating the best in user experience design, the UK has earned its reputation for world-leading creativity and inventiveness. We're helping secure the UK?s future by playing to those strengths. Our primary role at KTN is to nurture, develop and scale up innovation within business, connecting you with the wider knowledge economy. Working with large and small companies, government agencies and research organisations, with tech hubs and startups, public funding bodies, VCs and private investors, KTN has built a unique network that helps enterprising people and companies reach the full potential of their innovative capabilities. Established by Innovate UK to build better links between science, creativity and business, the KTN has specialist teams covering all significant sectors of the economy, from defence and transport to the creative industries, the built environment to biotechnology and robotics. Our expertise in connecting sectors, disciplines and skills with the right collaborations and business approach is what helps unlock the tremendous hidden value in people and companies. We have the knowledge and networks of 60,000+ members to help UK business profit from innovation. Our toolkit to support this includes articulating challenges to find appropriate solutions and showcasing new technologies to potential markets. We focus most of our activity working at the interfaces to bring together those who would not normally meet - coordinating hundreds of events per year, facilitating collaborations to help get better access to project funding and assisting organisations in developing more sustainable business models while also championing the early use of design approaches in innovation. We help companies navigate the complex innovation landscape in order to capture greater value for the UK from outstanding science and creativity. Become a valued member of our network today by registering your interest via enquiries@ktn-uk.org. Chris Warkup is the CEO of the Knowledge Transfer Network that came into existence on 1 April 2014 and took over the activities of 14 previous KTNs. The new KTN is funded by Innovate UK to provide the UKs innovation network: connecting people and enabling collaboration to help grow the UK economy through innovation. Chris is an Animal Scientist by background and most recently was the CEO of the Biosciences Knowledge Transfer Network. Chris' early career was in the livestock genetics industry (in which UK based companies are among the global leaders). This was followed by 15 years with the Meat and Livestock Commission in science management and knowledge transfer roles. He holds various other appointments on Boards and Committees including being a Trustee of The Roslin Foundation and a member of the Steering Group for the Innovate UK Sustainable Agri-Food Innovation Platform. For ten years he was Chairman of the Genomia seed fund and has a long standing relationship with BBSRC, having been on three different Strategy Panels, and is a Past President of the British Society of Animal Science. Public incentives for knowledge exchange (KE) seek to develop academic engagement, remove obstacles to collaboration, and embed a culture of enterprise across the HE sector. KE activities are also a source of income for HEIs and reached �3.57bn in 2012-13. This report offers new evidence on the patterns of and reasons for sustained growth of KE income across HEIs in the UK. More and better evidence of the benefits of academic activity outside academia is continuously needed by policy makers to justify the presence of dedicated incentives for KE activities, but evidence of progress may also be of use for the purpose of allocating these funds. We follow sustained growth of income drawn from the four more stable demand driven streams of KE (consultancy, contract research, continuing professional development, facilities and equipment) over the six years from 2007 to 2013; uncovering diverse strategies for total KE income growth but also demonstrating that it is the breadth of the KE activity base and not the scale of the institution that favours sustained growth: smaller HEIs with broad KE activity strategies are as likely to grow sustainably than larger scale HEIs. Dr. Rosa M. Fern�ndez is Research Director at the National Centre for Universities and Business. She oversees the analytical function and is responsible for delivering the State of Relationship Report: a myth-busting and evidence-based account of the state of collaboration between universities and business in the UK. Research at NCUB provides empirical intelligence to inform collaboration decisions in the UK, with bespoke evidence reports on policies and practices that are relevant for collaboration operations and strategy across public funders and members. 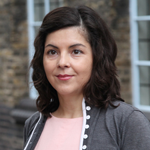 Rosa joined NCUB after 4 years as a government economist responsible for evidence on the need for and impact of the UK science and research budget, following 10 years as an academic economist at Oxford. She is a Fellow of the Royal Statistical Society and has served as an international expert in science and innovation panels for the OECD, the EU and the Council of Canadian Academies. She holds a M.Sc. and a PhD in Economics. The Satellite Applications Catapult is an independent innovation and technology company, created by Innovate UK to foster growth across the economy through the exploitation of space technologies. We help organisations make use of and benefit from satellite technologies, and bring together multi-disciplinary teams to generate ideas and solutions in an open innovation environment. Nafeesa�s talk will highlight how the Catapult has built successful partnerships across industry and academia that have led to the creation of new businesses and services. 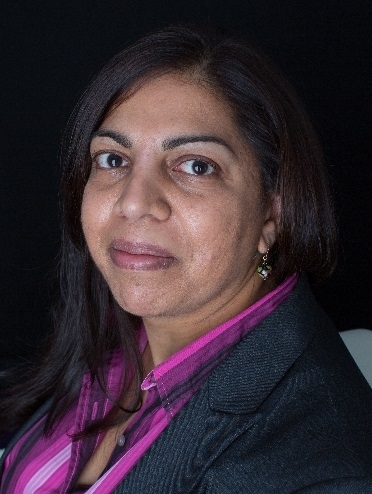 Nafeesa joined the Satellite Applications Catapult in January 2014, as Knowledge Exchange Manager. Her role involves creating partnerships between the research knowledge base and businesses across the UK. These collaborations ensure the pull through of great ideas related to space applications into innovative new products, services and businesses. Prior to this she worked for five years at BlackBerry managing their global University Relations programmes, BlackBerry Academic Programme and outreach activities to encourage young people to study STEM subjects, as well as a running a women's scholarship programme. Nafeesa graduated from Warwick University with a PhD in Electrochemistry and then spent a year as a postdoc researcher in Georgia State University, America. Her first "real world" position was at the Engineering and Physical Sciences Research Council where she spent five years in a variety of University and business facing roles. Andrew's talk will highlight some of the barriers in knowledge based organisations which affect effective knowledge sharing and innovation. The talk will highlight the practices and tools that Arup utilise to capture and re-utilise knowledge and how this is a driver of innovation within Arup but also the lessons learnt. Andrew will set out what he see as the problems in today's knowledge based organisation that act as inhibitors not only to sharing knowledge but also to innovation. The importance of the Human dimension and why creativity is for everyone in an organisation. Some of the tools we use in Arup to capture and disseminate knowledge but also to connect people. The work of Arup's forums which are the jewel in the crown of its KM systems in his opinion and the delivery of arrow and cloud solutions by tapping in to the brain power of its employees. Use of Opal as a brain storm device. Andrew is Knowledge and Information Manager within Arup?s global rail team and has over 15 years experience in the field. Recognised globally across Arup as a subject matter expert on Knowledge Management and Communities of Practice (COP), Andrew has designed and delivered numerous innovative and engaging workshops with employees from numerous disciplines up to executive level. 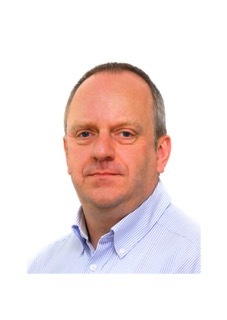 Andrew is particularly interested in the use of COP?s and project reviews as a means of capturing tacit knowledge from people and delivering operational efficiencies and driving innovation within an organisation. He has delivered KM talks in this area in London, Hong Kong, Brisbane, Johannesburg and San Francisco. Chris Birch is Professor of Enterprise and Innovation at the University of Greenwich, leading the Centre for Innovation, Imagination and Inspiration. This is involved in many major EU funded projects which align SMEs, Universities and Regional Agencies in value-adding ways. Previously, he has held senior positions of Pro and Deputy Vice-Chancellor with responsibility for Research and Enterprise. The Staffordshire county includes the city of Stoke-on-Trent, county town of Stafford and the major conurbations of Lichfield, Tamworth and Buxton. From the Cheshire plains in the North to the moorlands in the East and meeting the Black Country in the South, Staffordshire has a wide variety of rural, urban and peri-urban spaces. Working in this environment Staffordshire University has the opportunity to provide knowledge transfer and enterprise products and services to thousands of SME's and large companies. This Innovation Forum will cover some regional projects, the local providers and give an insight into knowledge transfer in the region. Speakers will include knowledge transfer professionals and academics from Staffordshire University, business leaders from the area and strategic leaders from the Local Enterprise Partnership. The Emma Bridgewater company is an innovative and creative business producing world-famous iconic pottery. The company is run by Emma and her husband Matthew Rice, who create their own signature designs. It is a family business, and the inspiration stems from family and everyday life. Emma Bridgewater is a thoroughly British company too. All of their products are made in Stoke-on-Trent, the traditional home of British pottery, and they are proud to be one of the largest employers of potters in the area. All their pottery is made from cream-coloured earthenware, a traditional Staffordshire product. Most of the production work is still done by hand, and all the pieces are individually hand-decorated, so every one is very slightly different and their spongeware is always signed by the person who painted it. Pottery is, and always will be, at the heart of the company, but in recent years they have expanded outside of the kitchen and used their iconic patterns on a growing range of other products including glass, tins, picnicware, wallpaper and fabrics from Sanderson, and their own collection of home fragrances, and bath and bodycare.